Providing a wealth of synonyms and antonyms for everyday use, this revised edition of the Compact Oxford Thesaurus is ideal in helping you find the right word when writing, or for other language queries. The Compact Oxford Thesaurus provides you with the most useful synonym first, so that you can find the information you are looking for easily. It also features a two-colour layout and a very clear, open design, so that you can navigate around the thesaurus quickly. 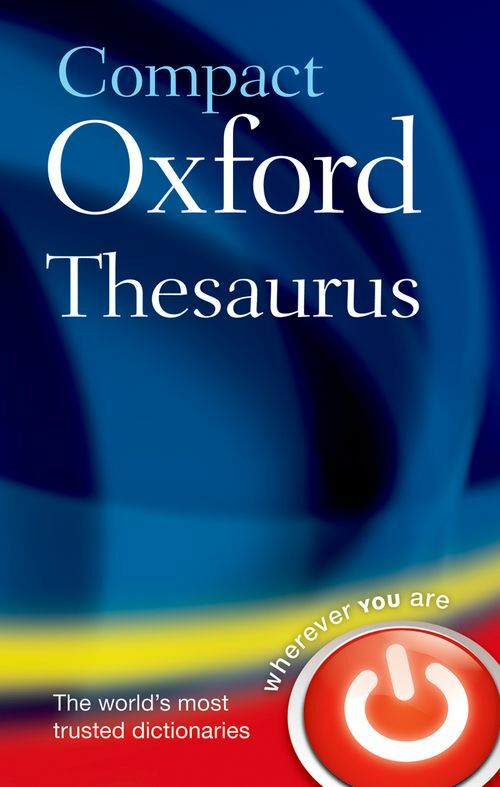 New vocabulary has been added in this revised edition, so you can be sure that your Oxford thesaurus reflects the very latest changes in the English language. Notes on frequently confused words such as affect and effect, or compliment and complement can be found throughout the text, helping you to avoid common pitfalls when writing. The centre section of the thesaurus provides practical help in using a thesaurus to improve your choice of words and to refine your writing style, as well as new material for word game and puzzle enthusiasts. The Compact Oxford Thesaurus is an invaluable tool for anyone who needs to write reports or memos at work, essays at school or college, or letters or emails to friends, and is ideal for creative writing too. It can help to expand your vocabulary, or give you vital clues in solving language puzzles and crosswords.